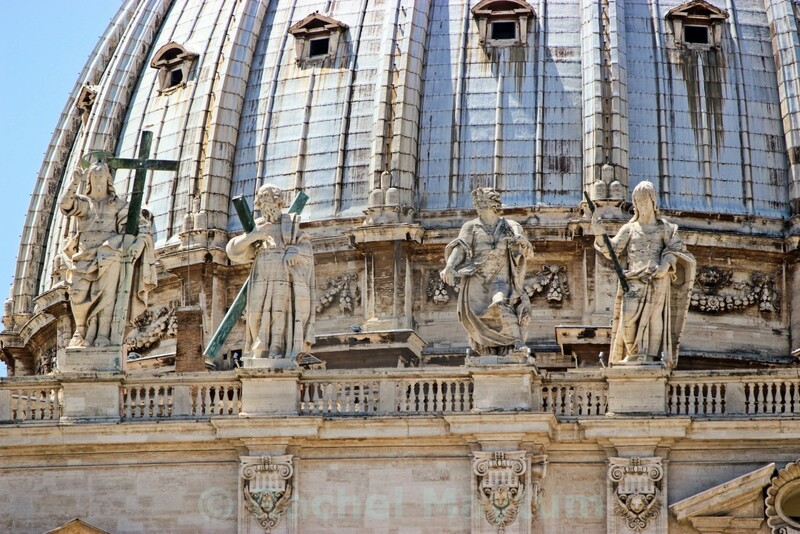 Part of the Saint Peter's Basilica Dome and some statue Saints. Vatican City, Rome, Italy. Camera: Canon EOS 600D Digital SLR.